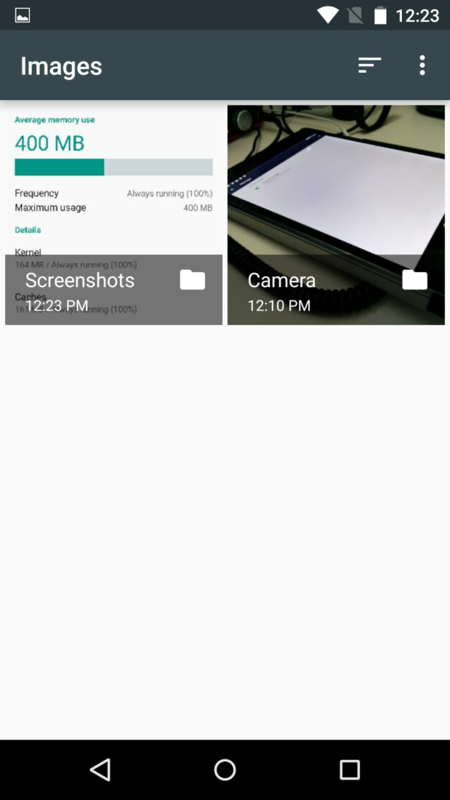 As you can see in the screenshots below, when accessing the internal storage section, the colors and segmented meter for which types of files are taking up storage are gone. 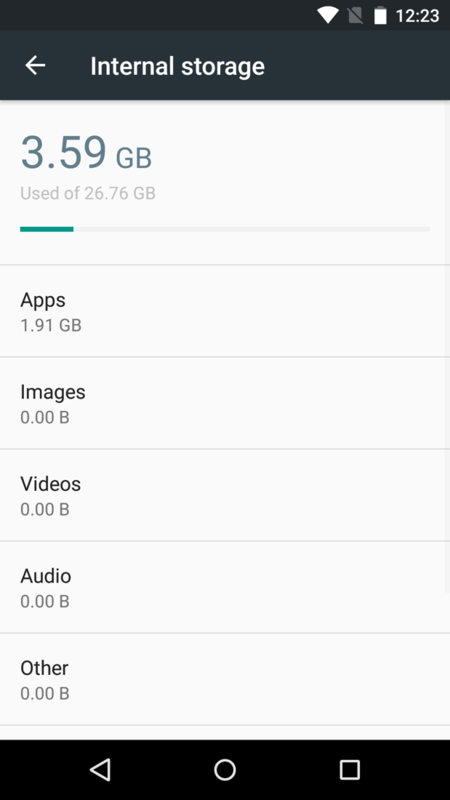 Now, you just have a single bar to show you the total storage being used, along with simple text at the top of the section to clearly tell you the amount of used space and total space. From there, you have familiar sections for things like Apps, Images, Videos, Audio, and Other. You can tap on each one like you could in previous Android builds, but something about this revamped section seems quicker to access the filer manager. If you tap on Images, you quickly load into a folder containing images. You can do the same for videos or audio as well. For whatever reason, Google removed the Downloads option. One other new change is the Explore option at the bottom of the list, which brings you into the internal file manager. 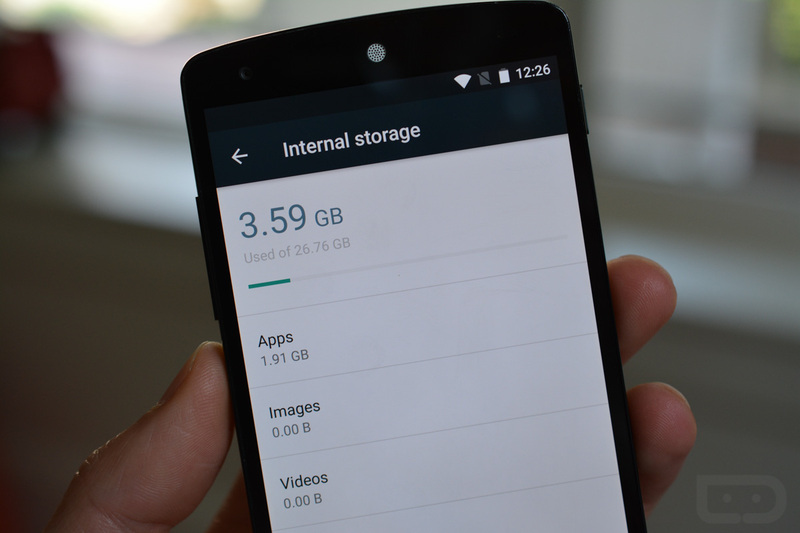 From there, you can browse all of the files on your internal storage pretty easily. 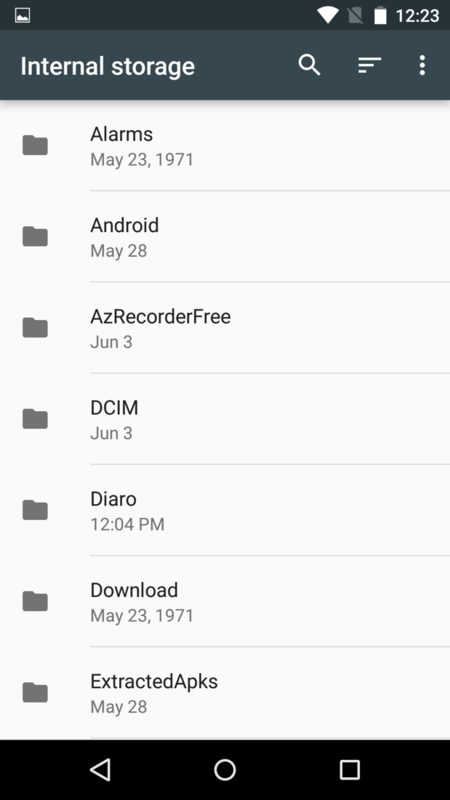 One thing I found interesting is the fact that its now called “Storage & USB,” but if you tap on it, you are taken immediately to your internal storage manager. My guess is that if you have USB storage attached (or maybe even an SD card inserted), you will be given the choice as to which you would like to access. I’ll see what I can do to confirm this. Be sure to catch all of the other new Android M features!